It is a grammar worksheet to help students in the constructions of plural forms of the nouns. 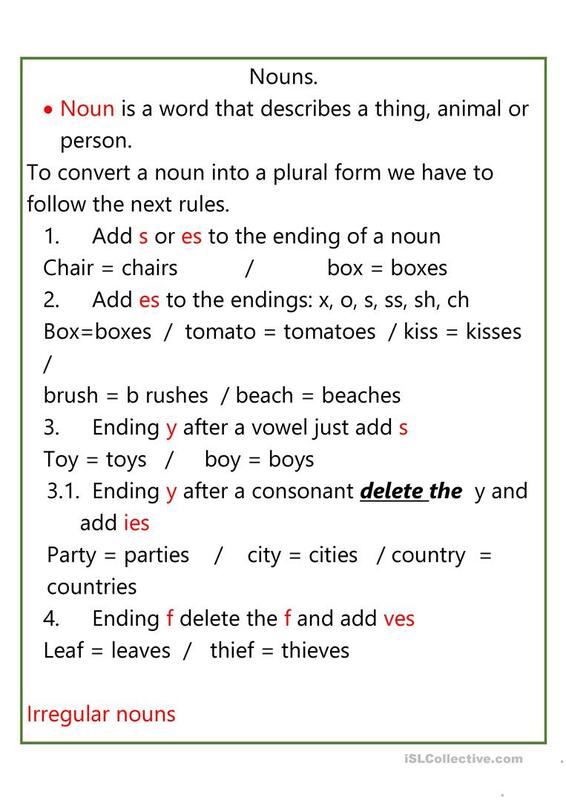 or students from Fbeginner and elementary levels, learning english is very easy. The above downloadable handout was created for high school students, elementary school students and adults at Beginner (pre-A1) and Elementary (A1) level. 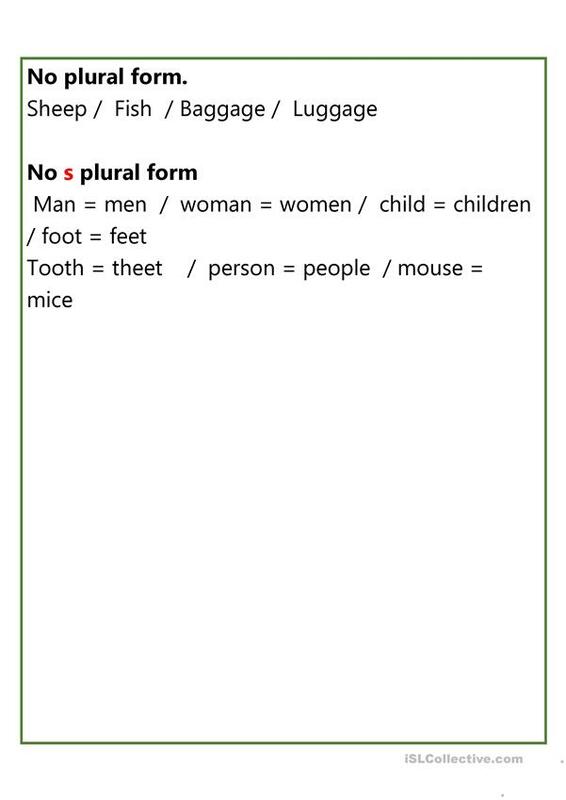 It is aimed at revising Nouns in English, and is a valuable material for enhancing your groups' Reading skills. COTOBETINCANO is from/lives in Mexico and has been a member of iSLCollective since 2018-06-14 00:19:42. COTOBETINCANO last logged in on 2019-04-13 20:29:31, and has shared 2 resources on iSLCollective so far.